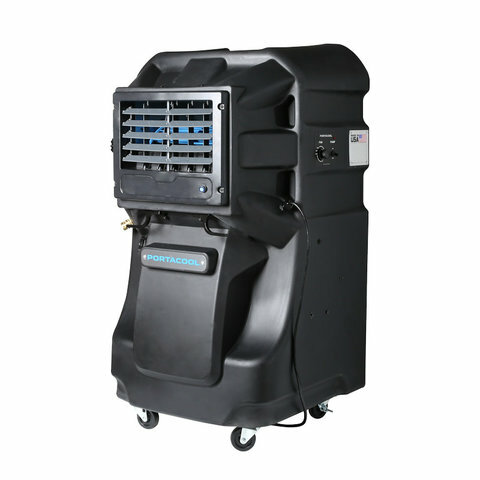 The Portacool Jetstream is the latest line of portable cooling units for outdoor events. The evaporation cooler comes with full control display and ocillating louvers. Another great feature in this new line of portable cooling is a built in water tank - no more pesky hose hookups! Just fill the tank, and you're ready to start cooling (3-10 hours depending on conditions and settings).